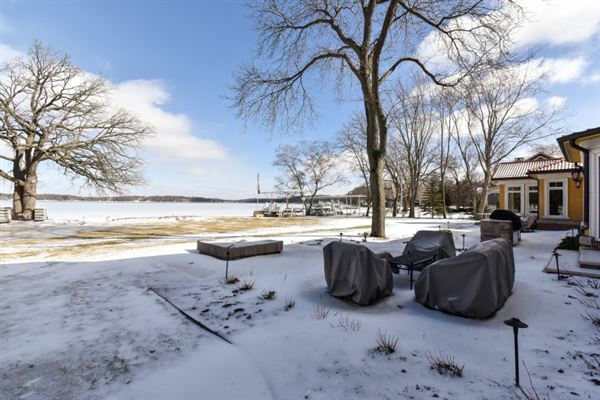 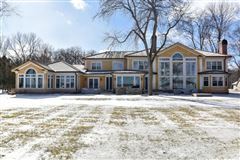 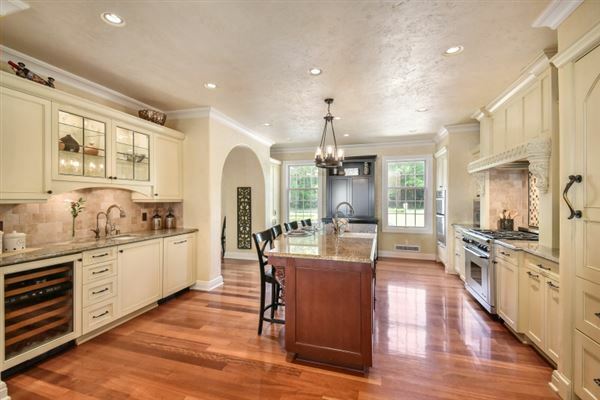 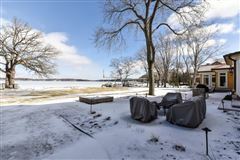 South Beach inspired home with 133 feet of incredible shoreline on Oconomowoc Lake! 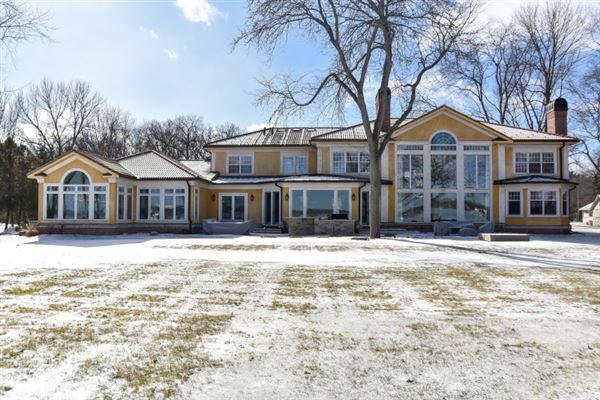 Spectacular in every facet; from the tile roof, stunning architecture, manicured grounds with outstanding hardscape; to an interior with no equal. 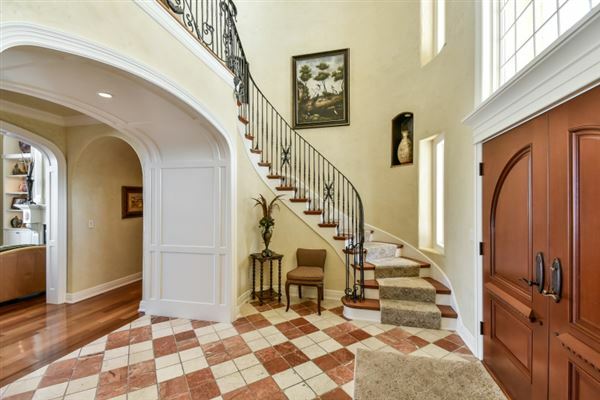 Solid wood double doors open to a multi-story marble-floored foyer. 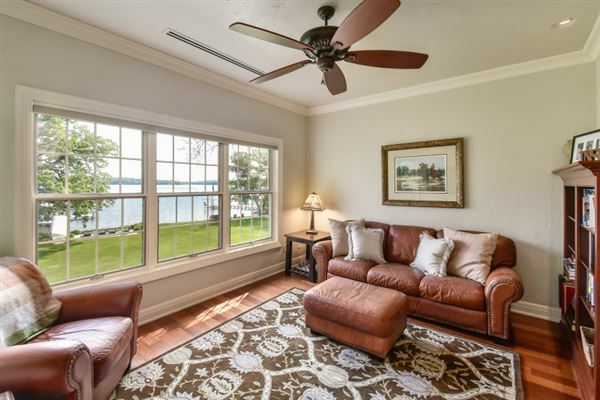 Immediately, you will find serenity in the tranquil view of the glistening waters of Oconomowoc Lake. 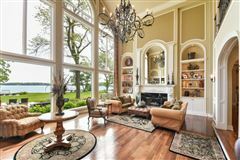 The soaring great room is bathed in natural light from a fantastic window wall. 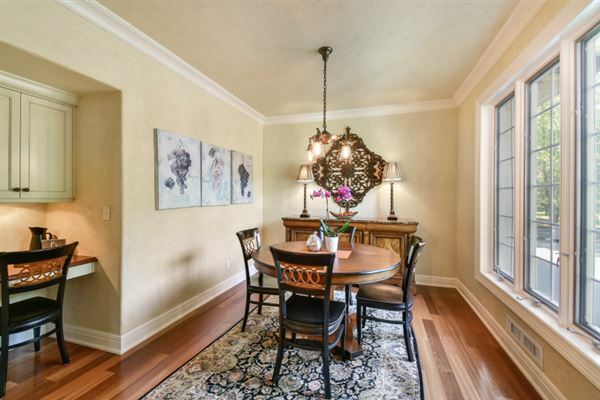 Impressive chandelier casts light rays dancing across the Brazilian hardwood floor. 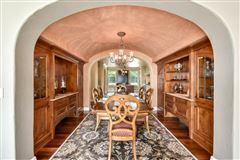 A handsome fireplace flanked by arched built-ins is a lovely focal point to this entertainer's dream. 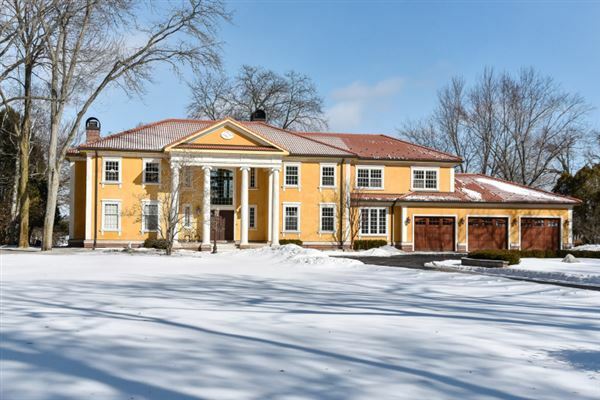 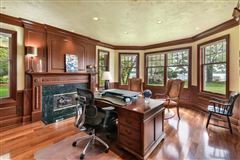 French doors open to the most regal den with lustrous wood-paneled walls, built-ins and a second fireplace that will warm your spirits. 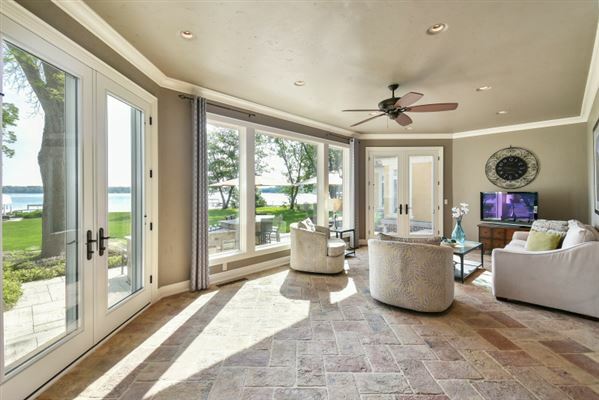 Take special note: from every room in this house, the views are unbelievable. 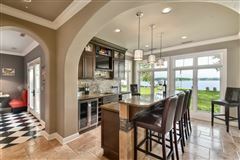 The heart of the home centers on this Food Network inspired island kitchen that absolutely ROCKS! 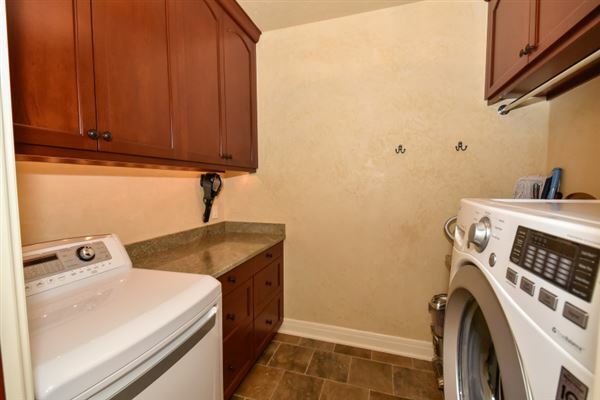 There are plenty of cabinets and only the finest appliances. Custom tile back splash complements the granite counters. 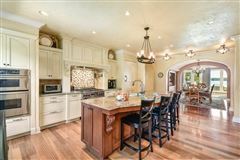 Adjoining the kitchen is the perfect vignette to enjoy casual dining. 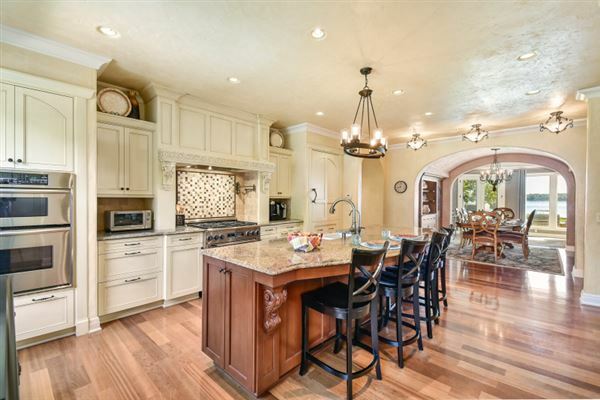 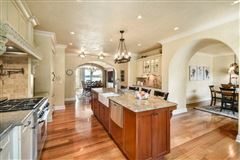 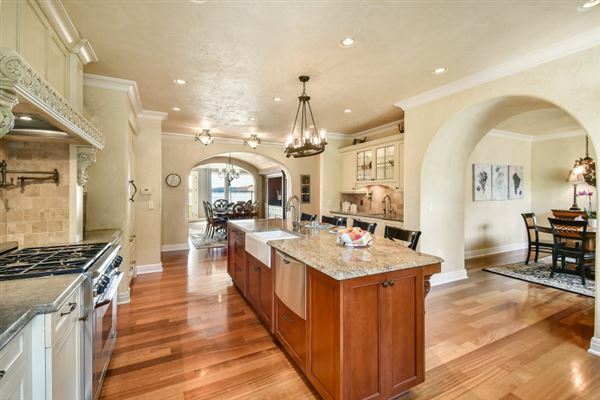 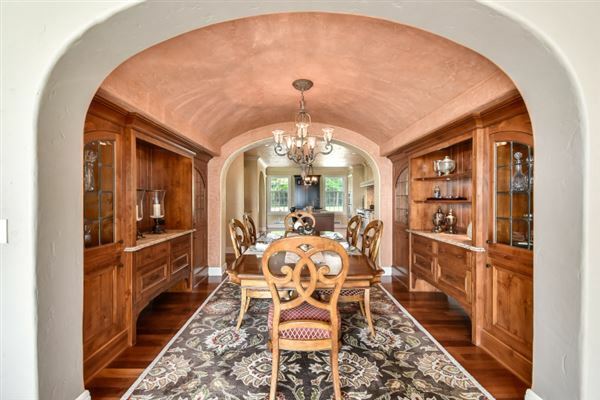 Toward the lake side is a gorgeous barreled-ceiling formal dining room with custom built-in. This is the spot for creating lasting memories for all your special occasions. 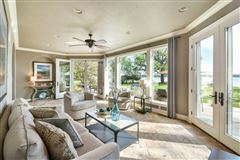 You will enjoy hanging out in the expansive tile-floored family room. 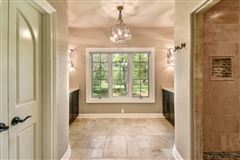 A full wall of windows brings the outdoors in. 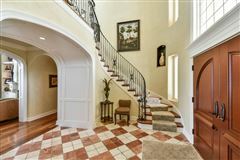 An atrium door accesses a fabulous detailed patio with fire pit and built-in grilling station. 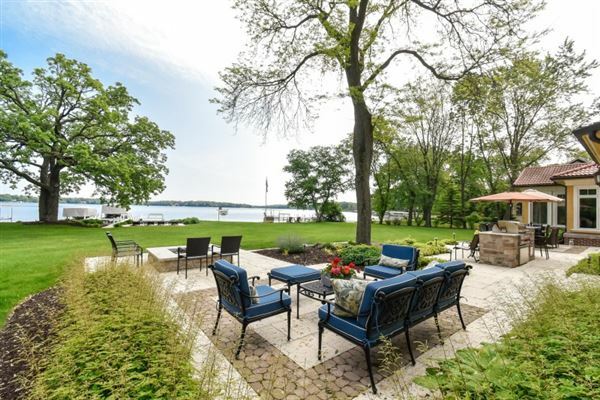 This is the spot for summer entertaining. 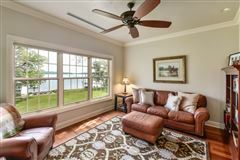 The level yard is perfect for all your activities and includes a second detailed patio at lakeside. The first floor of this magnificent home keeps getting better and better. 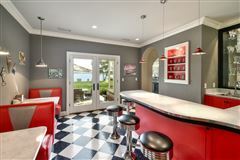 Total fun will be had in your vintage soda parlor. 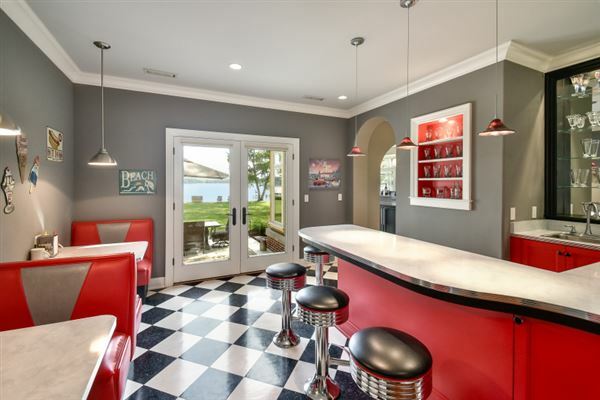 The entertaining options continue with a fully decked-out bar that adjoins a large game room and totally relaxing hot tub room. 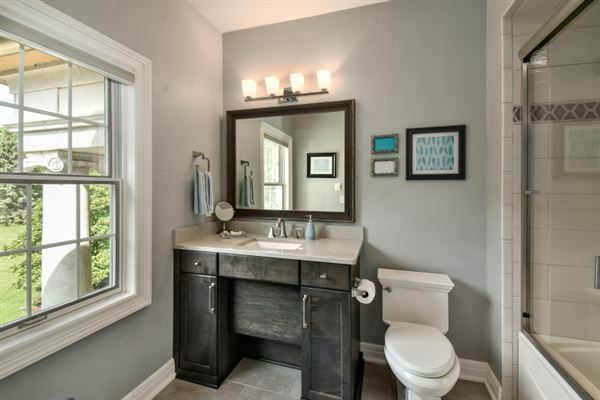 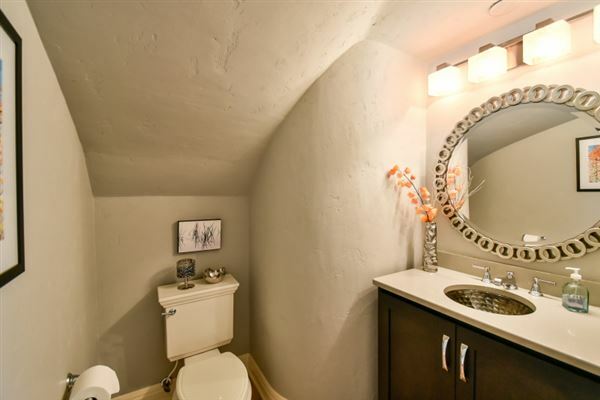 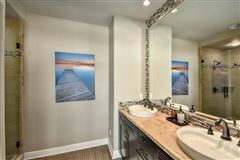 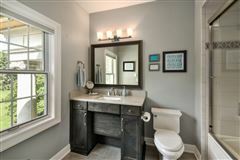 There is a full bath and two powder rooms for added convenience on the first floor. 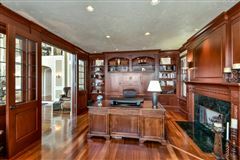 Movie night or the big game will be at your house courtesy of your own private theatre room. 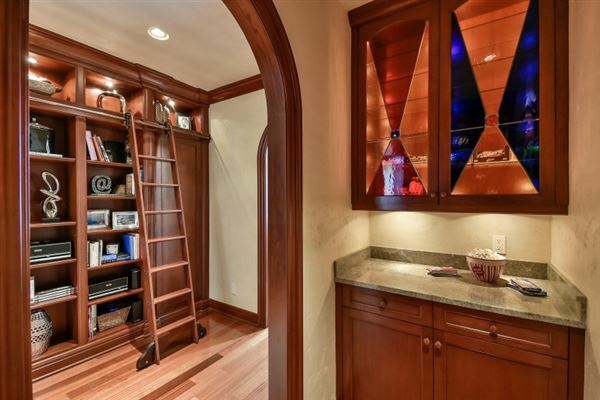 There is even a candy alcove and custom built-ins in the foyer. 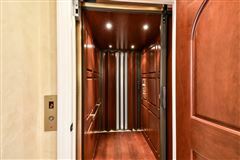 No home is complete without a private elevator. 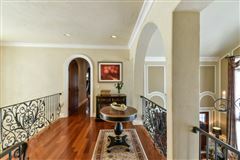 A custom curved staircase with intricate wrought-iron railing leads to the fully-comfortable resting quarters. 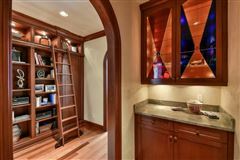 Sheer luxury defines the master suite that features two organized walk-in closets and a private sitting area where you can get in touch with your favorite author. 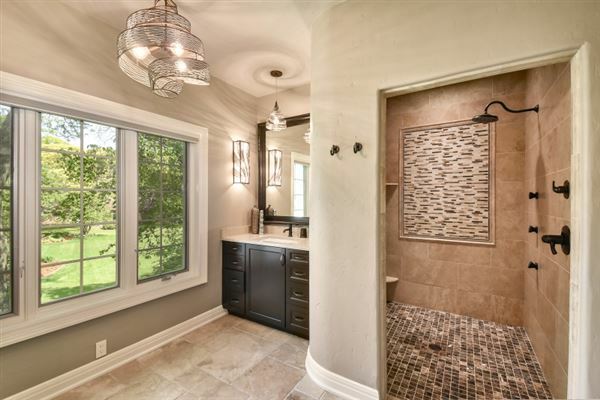 All the baths have been recently remodeled and the master feels like a five diamond spa. 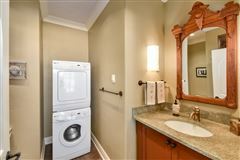 Double vanities, heated floor and a fantastic tile shower are here to help you keep looking fabulous. 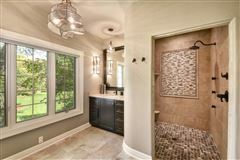 Bedroom two is a custom ensuite with a beautiful bath and adjoining sitting area. 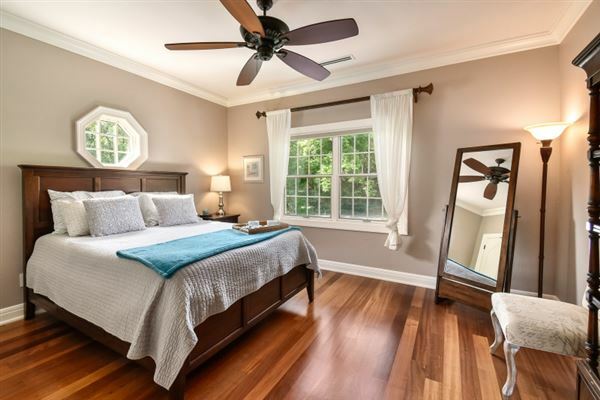 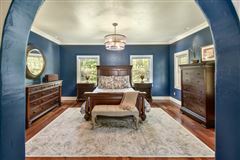 Bedrooms three and four share a gorgeous bath and boast large closets. 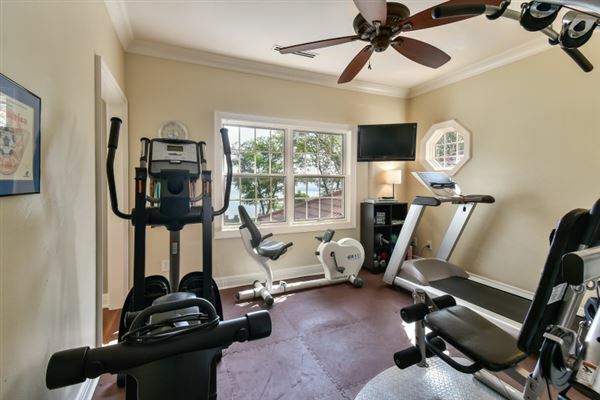 The upper exercise room will keep you looking fit. 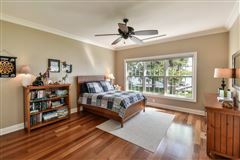 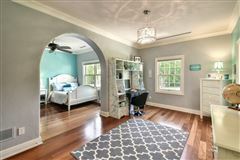 This bonus room can also be utilized as a sitting area, homework station or music room. 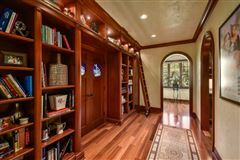 Take note of the large closets including a cedar closet on the second floor. Oversized four-car garage has plenty of storage. 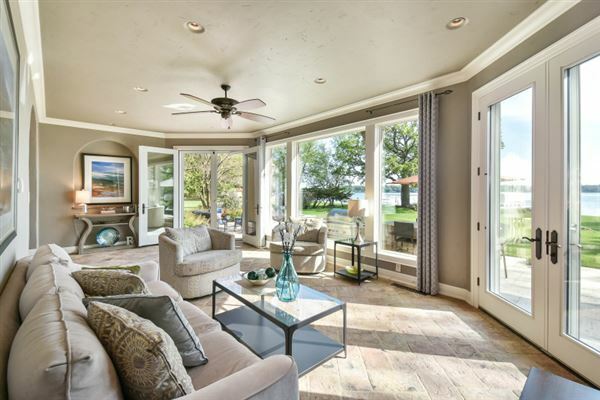 In-ground sprinklers keep the yard looking lush. 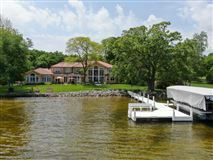 You have always dreamed of owning that perfect lake home. 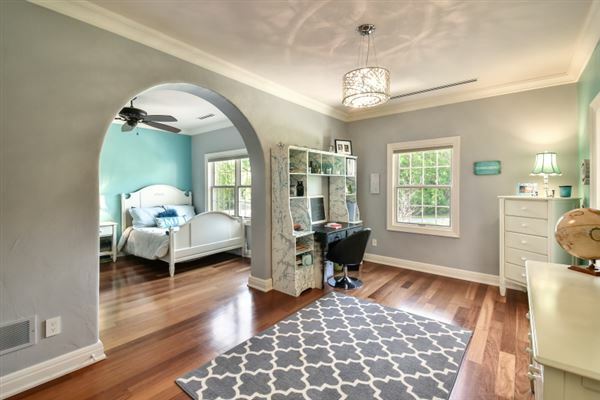 Turn your dream into reality!